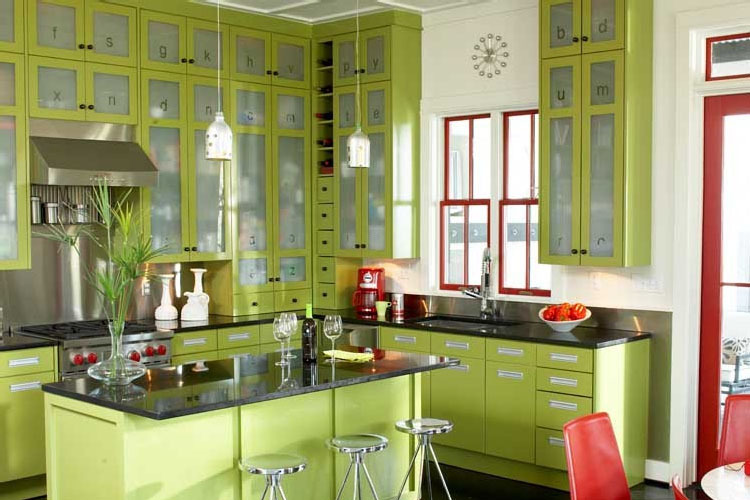 The daring shade of palm-frond green creates a sleek looking kitchen. 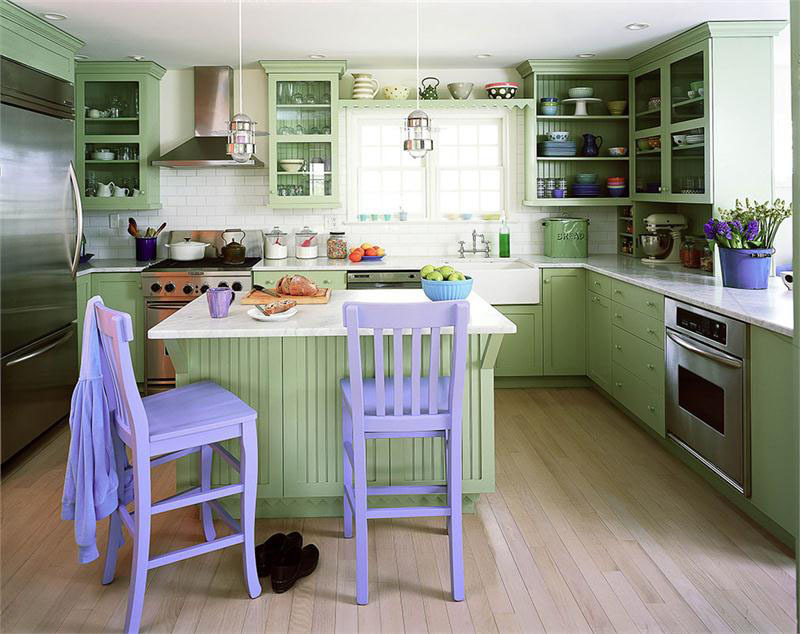 High cabinets with frosted glass provide plenty of storage. The decorative letters on the glass make it easy to remember where everything is stored. The metal stools add a retro touch to the room.